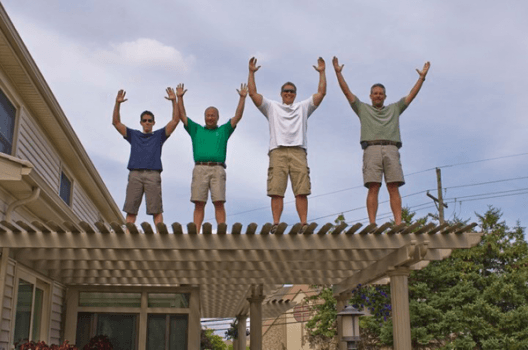 HomePro Remodelers is a trusted and experienced fence company offering homeowners in the Pittsburgh, Pennsylvania, area some of the finest fencing products and installation services around at prices that cannot be beat by our competitors. We make it our mission to be the standout fence company in the area by not settling for anything less than complete customer satisfaction. In fact, as evidence of this commitment, we even hold an A+ rating with the Better Business Bureau. Vinyl – Our 100 percent virgin vinyl fencing is fabricated onsite and is exceptionally durable and low maintenance. The planks of this fencing option also tightly lock in together for maximum privacy and wind resistance and can range in visibility and picket spacing. Aluminum – This low maintenance fencing option boasts color retention technology that helps the fence maintain its color inside and out year after year. It also has interior locking pivots which grip each picket to the rails from the inside, which eliminates the need for unsightly screws and prevents corrosion and breaking overtime. Both our vinyl and aluminum fencing is custom made to meet the needs of our customers and can be equipped with additional accessories, such as child safety gate latches. And as a reliable fence company, we will always make sure that our fencing is installed by factory trained and experienced technicians according to manufacture specifications. Our technicians can even install the new fencing in any shape or configuration to meet the specific needs of our customers. What’s more, our fencing products are backed by a lifetime warranty as well as a two-year warranty on all labor for added peace of mind. 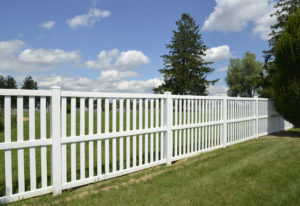 For more information on hiring the premier fence company of Pittsburgh, PA – HomePro Remodelers – contact us today. And make sure to ask about all our great financing options available to qualifying homeowners.